RoyalEnfields.com: 1,000 Royal Enfields sold in one year? Rubbish! 1,000 Royal Enfields sold in one year? Rubbish! 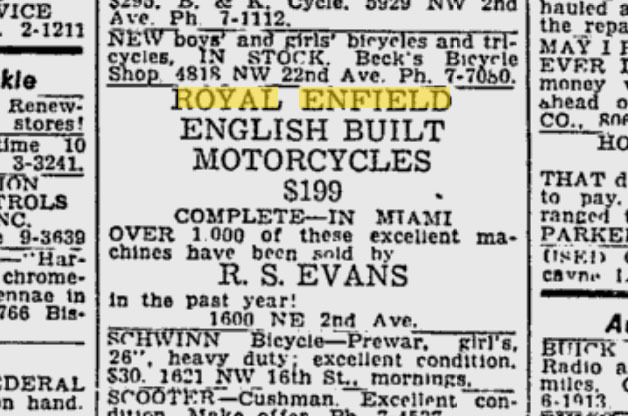 Is it possible that 1,000 Royal Enfield motorcycles were sold by a Miami, Fla. dealer in 1947? That's the proud boast made by dealer R.S. 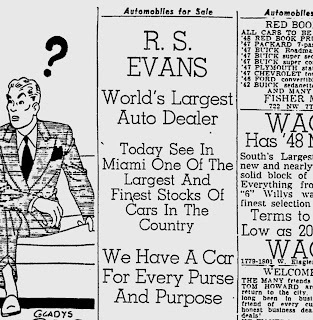 Evans in this advertisement in The Miami News newspaper of Dec. 26, 1947. A thousand Royal Enfield motorcycles? In one year? In one corner of Florida? It seems incredible. I am indebted to blogger Jorge Pullin, reader Jeffrey Baker and Royal Enfield Owners Club president Graham Scarth for finding the truth. Was R.S. 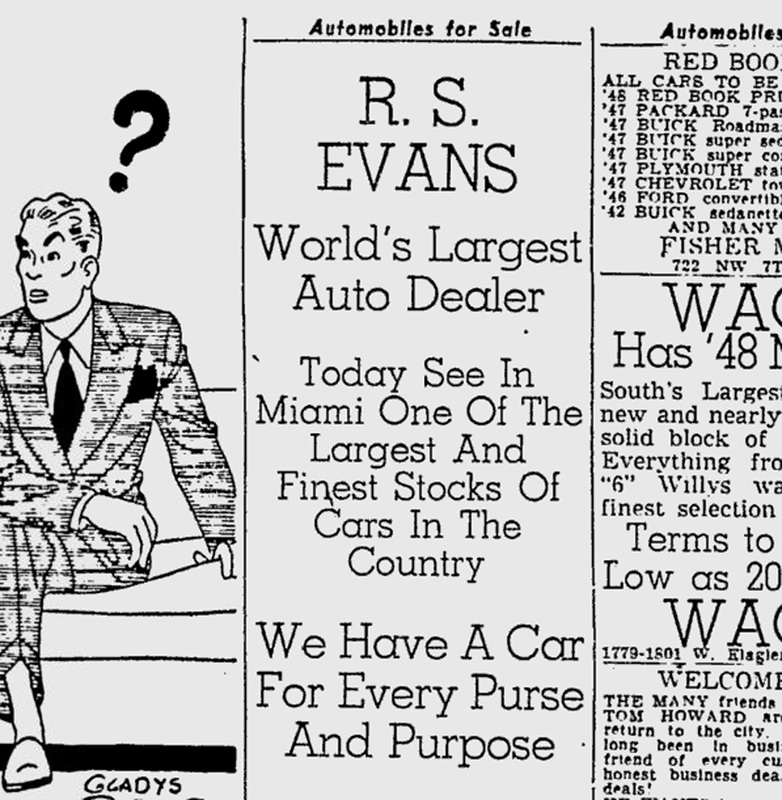 Evans "The World's Largest Auto Dealer?" 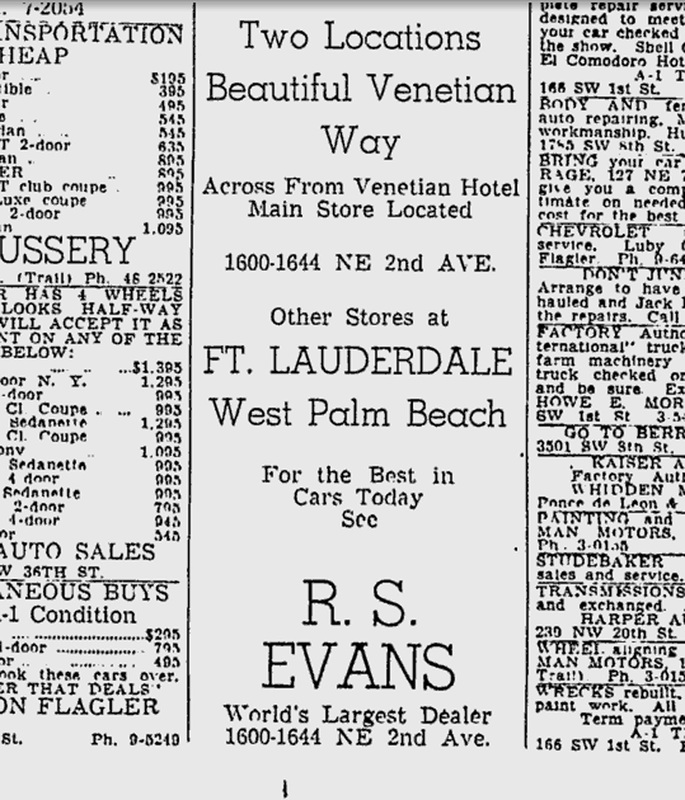 "Looks like Mr. Evans was prone to much verbosity," Jeffrey wrote. "He didn't mince words," Jorge noted. 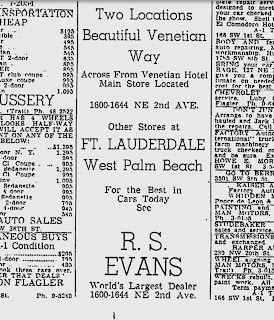 Both Jorge and Jeffrey pointed out more information, at the bottom of this ad: With other locations in Fort Lauderdale and West Palm Beach, R.S. Evans probably could claim to serve the entire region's need for Royal Enfields. Dealer had several locations and one Miami lot took up a whole block. 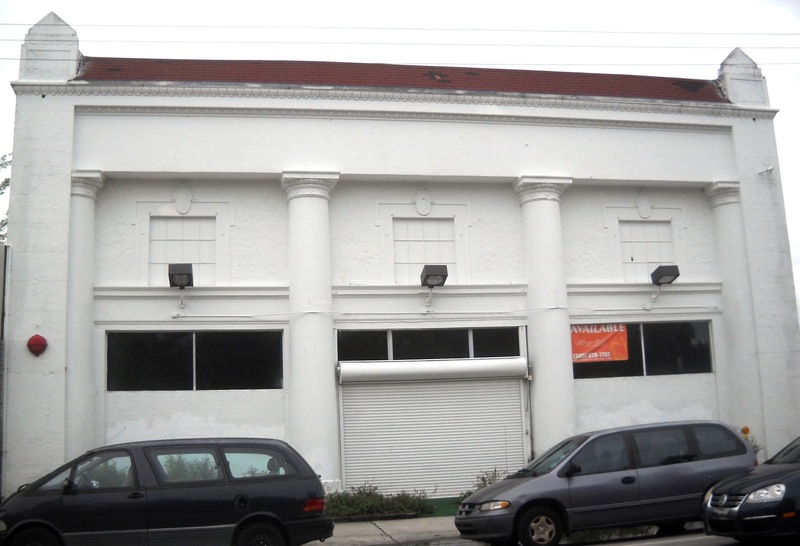 Both Jorge and Jeffrey also pointed out that this ad lists the address as 1600-1644 NE Second Ave., the whole block. I had guessed that the last old looking building still there might have been part of the dealership. 1622 NE Second Ave. dates from 1927, according to property records. R.S. 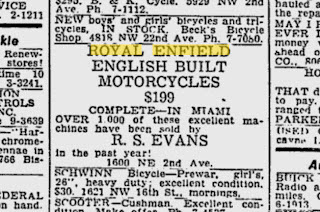 Evans quotes a price of $199 for a Royal Enfield. That appears to align with the price of the little two-stroke RE model, which cost 73 pounds (about the same) in England at the time, according to Jorge. "In the immediate post war years, Royal Enfields for the U.S. all went to Whitehall in New York, who I assume was a distributor. "None of the refurbished ex-WD machines appear to have gone to the U.S. and the 500 Twin was not yet in production. I think you are were right to 'rubbish' the advertisement claim, as the Florida dealer would have to have sold all of them!!!!"